“Hindman,” ETSU professor Tom Lane said. “They have the Appalachian Writer’s Workshop there every summer. You should go.” It was a strange name, a stranger idea that I should go to a writer’s workshop. What exactly is that? I studied the brochure intently. That August in 1980 I packed up my little Toyota Corolla and set off through Pound Gap over into eastern Kentucky. As I drove, the mountains seemed to move closer and closer, the road became more narrowed and crooked. I pulled across the wooden bridge over Troublesome Creek and walked toward the log house that said “Office.” I got all the paperwork, my information packet, my name tag, and went over to the main classroom building next door. As I watched people come in and get ready for the opening meeting, I was suddenly paralyzed with self-doubt and anxiety. “What was I thinking? There are all these famous writers here and college professors; I’ve never published anything or even finished college! I’m going to make a fool of myself! !” But I’d already paid my money and driven all the way over there; it was too late to back out now. And thank God for that. Out of the next 6 days, which is 144 hours, I think I slept somewhere between 8 and 10 hours total. The daytime heat index hovered between 95 and 100, and this was in the days before air conditioning, but we were too enthralled to notice much. During the day, I was in classes taught by James Still, Cratis Williams, Harriette Arnow, and Jim Wayne Miller; in the evenings I listened to them and other wonderful writers read from their work, including new work. The special guest reader that year was Wilma Dykeman, and I got to meet her. I was in awe and star struck disbelief—I was getting to actually meet and talk to favorite authors. In the evenings we played and sang the old mountain songs, talked and talked, entertaining each other with stories and wordplay. I had gone from feeling so out of place and self-conscious to knowing that I was exactly where I needed to be. When it came time for my first manuscript conference with my teacher, Jim Wayne Miller, I was so nervous I thought I was going to throw up. But when I sat down at the table in the dining hall next to him, he smiled and said, “There you are. I’ve been waiting to meet you. Reading your manuscript and meeting you will be the highlight of this workshop for me.” I was too stunned to speak. I now know that Jim was the kind of person who probably showed lots of young participants that kind of generosity and kindness. But his encouragement, which was then echoed by the other poetry teacher Richard Hague, gave me something I thought I needed then—permission to think of myself as a writer. I had told people since I was in 4th grade that I was going to be a writer, but adolescence had caused me to scoff at the notion that someone like me could actually be that. I left there a changed person, part of a new family, strong as blood, and our bond continues to this day. We have grown old together, grieved over many who’ve gone on, and maintain an understanding and bond that is hard to explain. Rita Sims Quillen’s novel HIDING EZRA is forthcoming in 2014 from Little Creek Books; it was a finalist in the 2005 DANA Awards competition, and a chapter of the novel is included in the new scholarly study of Appalachian dialect just published by the University of Kentucky Press entitled TALKING APPALACHIAN. Welcome, Rita! I know that going to my first writer's workshop at Hindman, Kentucky, was life changing for me, too. It was the first time that I had been away from my family for an entire week, but I loved being at the workshop. I'm so jealous that you were in classes taught by Harriette Arnow. THE DOLLMAKER is one of my very favorite books. What was it like to be in class with her? Do you have any specific memories? I remember that she read every word from every student, studied the manuscripts intently, and made copious notes. She was a very serious, stern woman...while her husband Harold was a rascal and a big cut-up. He would carry on and flirt with all the women all the time, and Harriette would shake her head and tell him he'd "been lightning struck." You bring up a great question: When did you think of yourself as a real writer? Maybe some writers listening in will respond to that question. I think that workshop was it for me, in the sense, that I knew I was going to keep writing and trying to publish, that I would continue to try to take classes, go to workshops and readings, and generally, take myself and my work seriously--to see it as worth doing and important to me. I guess also the first real affirmation that I was a "real writer" was when Seven Buffaloes Press brought out a little chapbook of my poems--that was a thrill and a sign that the world was also now taking me seriously--at least a little bit! I am certainly not a well known writer, but Hindman changed my life and gave me a new direction after teaching biology and geology for most of my life. My wife, Joyce, an English professor, persuaded me to go to Hindman after reading stories I had written based on my Blue Ridge childhood. So, off I went from my foothills North Carolina home, through my mountain valley and on to the heart of Kentucky to experiences etched forever in my memory. My roommates were a fledgling Silas House and Jimmy Carl Harris who both skewered my assignments, as they should have, when they graciously agreed to read my assigned work before our session. I returned to so many Hindman workshops that I do not remember who my first instructors were. Silas, Sydney Farr, Lee Smith, Hal Crowther, and Sharon McCrumb were among the many writers I came to know in a special way. The feedback was so encouraging that I have continued to write. I am grateful to have had a brief tribute to Betty Smith in "Crossing Troublesome." I had the pleasure of listening to her, Rita Quillin and other musicians at the evening jams. While I have only had a few short stories published, it is my own fault for not sending off my material. However, my experiences at Troublesome Creek not only improved my writing, but influenced me to use what I had discovered. I have started a writer's workshop in our local community, and my wife, who also attended Hindman, and I write a column in the Shelby, NC newspaper in a section called Boomers and Beyond. We are the beyonders. More importantly, I have had a passion for getting the Appalachian Writers Association back on track after it went through a period of dormancy. I couldn't abide seeing such a vital writing community disappear along with its prestigious awards, both the AWA Book of the Year Awards and the internal members' awards. Due to my annoying insistence that AWA must not cease, I am current president. With the faithful help of Alan Holmes, we recently held our 2012 AWA awards banquet and ceremony at ETSU. We are on track for another good year ahead for the 2013 awards. Just last week, I began sorting through my writing to start sending material off.after allowing it to simmer for a few years. I'm too old to worry about rejection slips any longer. 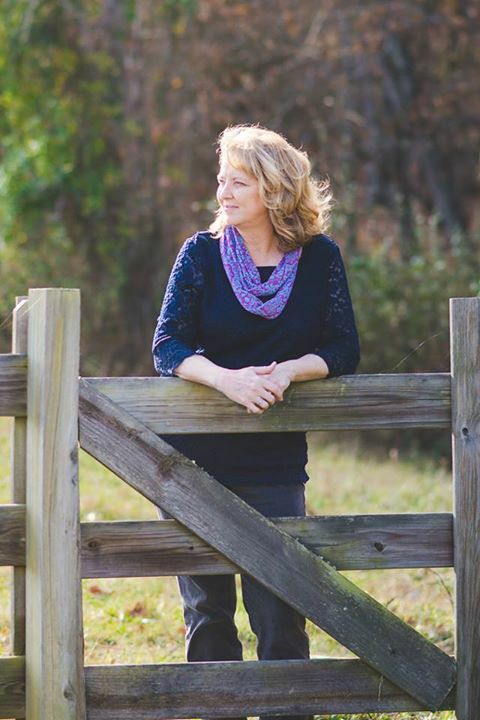 You and Joyce are examples of others and me: you left Hindman changed--determined to use your talents more fully and respectfully, to embrace yourself and your place more profoundly. And everybody in the whole wide world is better off, Les. :-) Thanks for sharing with us! You and Joyce are examples of the same phenomenon as I and others experienced: you left Hindman changed--determined to use your talents more fully and respectfully, to embrace yourself and your place more profoundly. And everybody in the whole wide world is better off, Les. :-) Thanks for sharing with us! It was my pleasure to have a place to share some of what Hindman and the Appalachian writing community have meant to me and to Joyce. Lovely memories, Rita. As an accomplished writer I bet you're often asked to be a teacher at conferences. What is it like wearing that hat? How did Hindman (or other experiences) shape you into the teacher you would become?